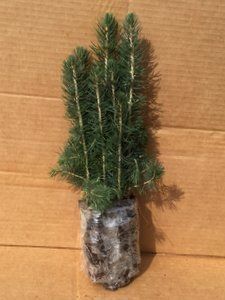 We are a reforestation nursery that makes it easy for Canadians to purchase large quantities of tree, shrub, and berry seedlings at low prices. 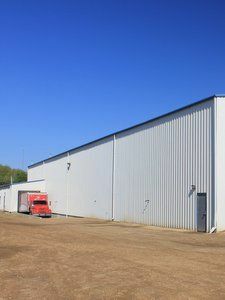 Shop with us if you want convenience, selection, low prices, outstanding service, a guaranteed ship date, and high quality stock. Our customers tend to enjoy doing things themselves and watching their trees grow. We grow our trees for maximum survival, not height or aesthetics. 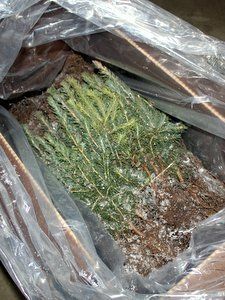 We mostly grow 1-2 year old trees because they have the best survival rates and are easier to ship in the mail. We guarantee every tree we sell. 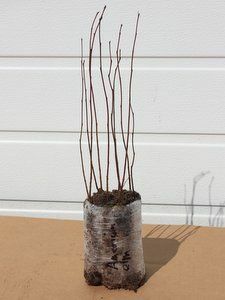 Note: if your project demands a specific shape, height and instant beauty, you should consider buying older caliper trees from your local tree nursery. Note: while we report heights on our website, heights are not guaranteed. We open our online store in November, right after we harvest our trees. And we close in early June as we run out of trees. 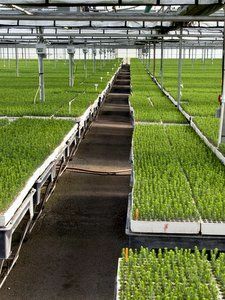 Because we sell our seedlings on a first-come, first-served basis, it is to your advantage to purchase your seedlings early. Unlike most other tree suppliers, you get to choose your preferred ship date (mid-April to mid-June) during your checkout. While shipping dates are certain, arrival dates are not. So, give yourself some flexibility for planting times. 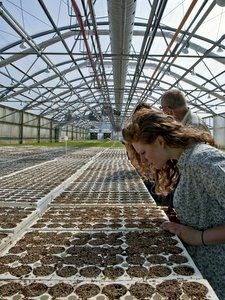 We plant most of our seedlings in styroblocks in our greenhouses. We harvest the trees from the styroblocks and make them into bundles in the fall. Deciduous trees are bundled, frozen, and shipped with their leaves off. They might not look like much but you can be assured that they are very much alive and will be ready to do great things. 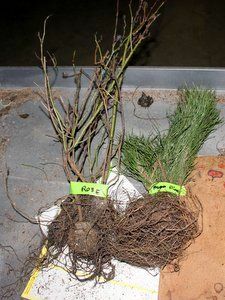 Bareroot trees look even more alarming to people who are used to buying their trees from garden centres. But trust us when we tell you millions of trees are successfully shipped frozen every year in Canada. It's quite safe. We group the bundles into boxes. We freeze all our trees in our cold storage facility for the winter. 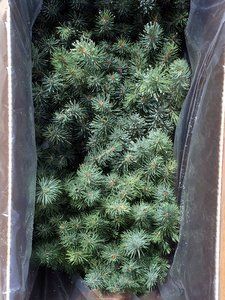 At some point before the ship date you chose during checkout, our workers will collect your trees and begin to pack your order. They will label and box your trees. 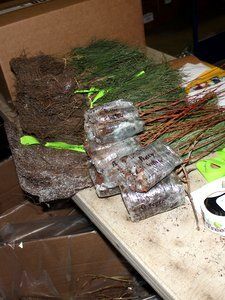 Every order gets planting instructions so you'll know exactly what to do when your trees arrive. Many people are surprised to learn just how many trees we can pack in a single box. 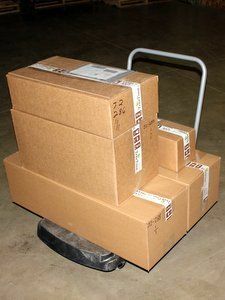 Unless you are ordering thousands of trees, we'll likely be able to ship your entire order in one or two reasonably sized boxes. When your ship date arrives, we'll load your frozen trees in a Canada Post truck for delivery to your shipping address. You should get an automated email from Canada Post letting you know your order shipped. 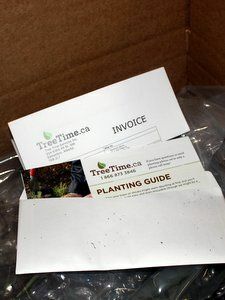 Expect your trees to arrive around the expected arrival date printed on your receipt. If you receive your trees quickly, they may still be frozen (as shown to the left). Just follow the pre-planting tree care guide and the planting guide and you'll be fine.